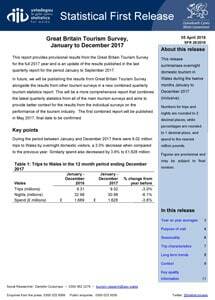 This report provides provisional results from the Great Britain Tourism Survey for the full 2017 year and is an update of the results published in the last quarterly report for the period January to September 2017. 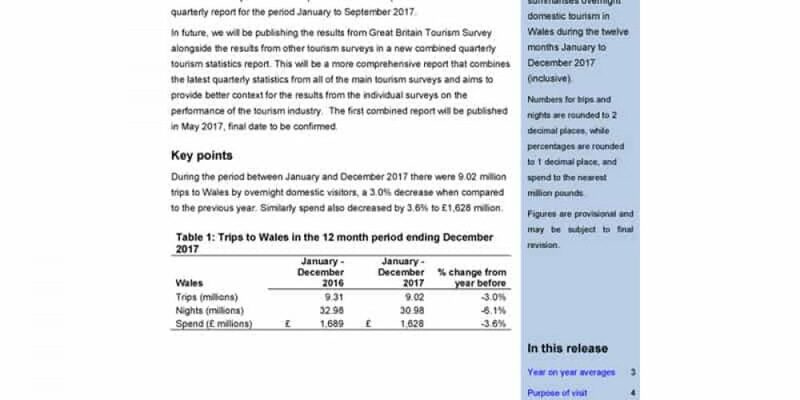 In future, we will be publishing the results from Great Britain Tourism Survey alongside the results from other tourism surveys in a new combined quarterly tourism statistics report. This will be a more comprehensive report that combines the latest quarterly statistics from all of the main tourism surveys and aims to provide better context for the results from the individual surveys on the performance of the tourism industry. The first combined report will be published in May 2017, final date to be confirmed.